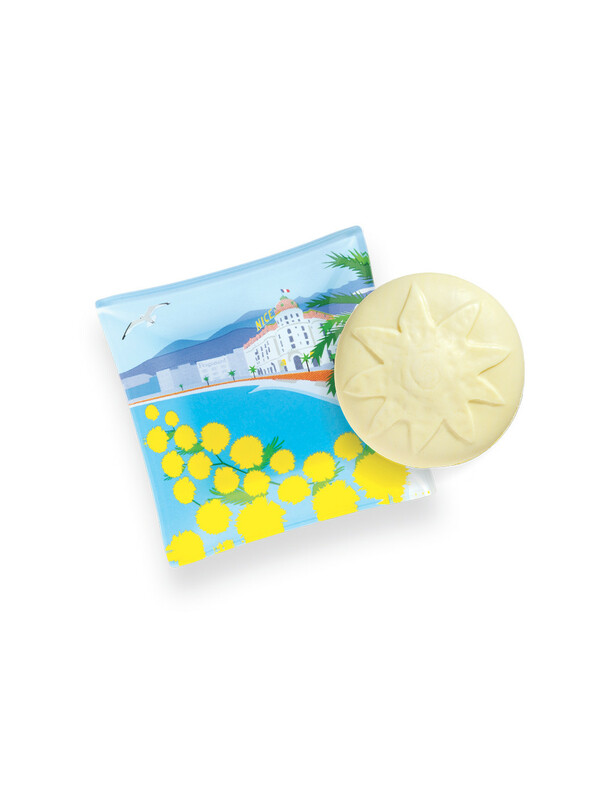 Perfumes soap and soap dish with an illustration of Nice. Gold mimosa lights up winter days on the Côte d'Azur. Its fragrance is synonymous with sunshine and joie de vivre! A perfumer founded in Grasse in 1926 - has a very speciallink with the Côte d'Azur's beautiful flowers. From the sea spray of the Mediterranean shores to the flowering hills of the hinterland, everything here is a source of inspiration for Fragonard's fragrances, created according to the finest French traditions.